(born 1965) His crime debut, The House that Jack Built, went straight to the bestseller lists upon it’s release in Denmark. 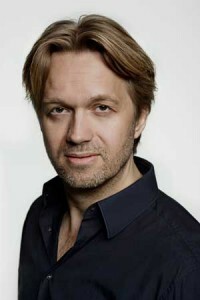 The rights to the two first novels in the Lars Winkler-series have been sold to eight countries, including USA, Canada and Germany. Jakob Melander has played guitar in several Danish rock bands. His fourth novel, Det bedste til mig og mine venner, will be published in Denmark 4th of March 2016. 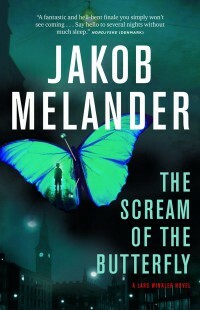 The second installment in the Lars Winkler-series, The Scream of the Butterfly, is out in US and Canada now. Jakob Melander was born in 1965 and grew up in the centre of Copenhagen, Denmark. During high school he was a part of the Copenhagen punk scene. Played bass guitar and violin in the short lived punk band Agony. Changed to guitar around 1984 and played in the Danish band Redlands for the remainder of the decade and in the early 1990’es. From 1996 he studied comparative literature at the University of Copenhagen. MA in 2002, Jakob is also a playwright from Odsherred Teater. His debut, The House that Jack Built, was published in 2013. Jakob lives in the district of Nørrebro near the centre of Copenhagen with his wife and two children. Right now he is editing the third book in the Lars Winkler series. The Danish release is set to February 6th, 2015.